I love my newest themed learning unit. It is so much fun. All of the activities have been used with my preschool class or with my own children (a preschooler & a kindergartner). Kids can't get enough of creepy crawlies! 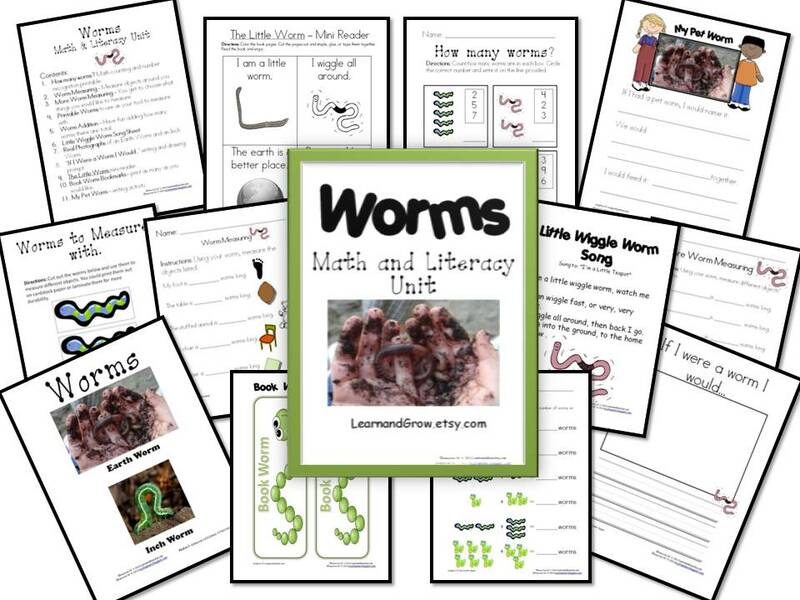 All of the exciting learning activities below are included in the "Worms Literacy and Math Unit". 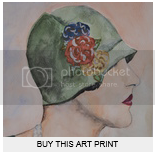 To preview and download two of the activities included in this unit, CLICK HERE. 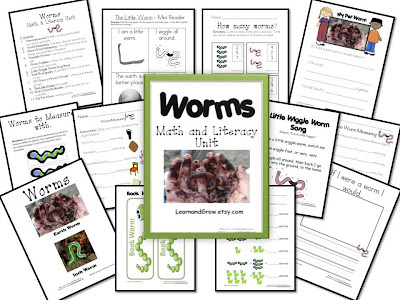 CLICK HERE to be taken to my Etsy store where you can purchase my NEWEST "Worms Math and Literacy Unit" for just $4.00. Have fun measuring, adding, drawing, writing, reading, and wiggling with your children! Ill be homeschooling so all your awesome stuff on here is going to help lots!! Thanks Keren! 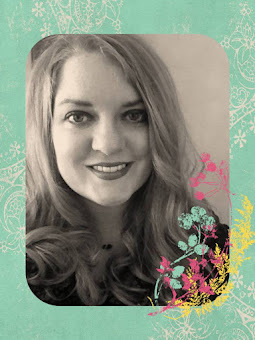 I will be checking in with your blog frequently now that I found it. I just love it!